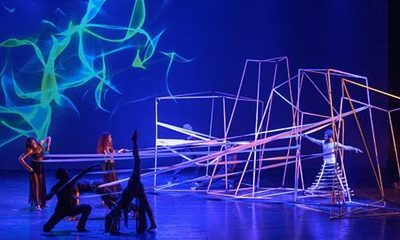 Egypt’s social, economical, and political situation posed obstacles for local businesses to grow and expand, but there was still an opportunity for them to showcase their creative solutions to solve Egypt’s most pressing developmental challenges. Even before 2011, Egypt’s economy had taken a downturn after the 2008 Global Financial Crisis, notably characterized by a hike in food prices. It took a harder hit after the 2011 revolution, when tourism, an important sector of Egyptian economy, plummeted. As a consequence, Egypt’s foreign exchange reserves fell from $36 billion in December 2010 to only $16.3 billion in January 2012. However, all hope was not gone for local businesses. According to the Central Bank, Egypt’s net foreign reserves reached $44.14 billion at the end of May; it also secured a $12 billion, three-year International Monetary Fund loan in 2016 as part of efforts to avert the collapse of the economy. Since then, import-dependent Egypt has been trying to woo foreign investors and revive its ailing economy. Although global Egyptian businesses were hit hard by the Egyptian currency devaluation resulting in a 6-year absence of Egyptian businesses from Forbes list of Global 2000, as many as 13 Egyptian startups made the Forbes list of the Arab world’s top 100 startups in 2017. More recently, four Egyptian companies were listed among Forbes top 100 powerful companies in the MENA region in 2018. 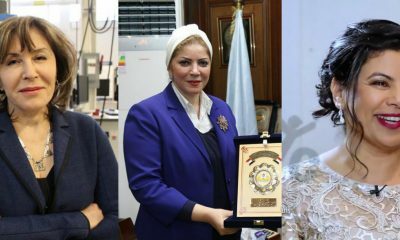 Egyptian Streets celebrates the Egyptian businesses that have gone global, representing success stories for young entrepreneurs, and a glimmering hope for the Egyptian economy. Caption: In 2015, the brand was the third highest biggest player in Egypt, with over 9.5 millions customers a year. Photo Credit: Mo’men Group. It’s hard to imagine that one of the previous top chains in Egypt was founded with a starting capital of only EGP 12,000. In 1988, the Mo’men brothers opened their first restaurant in Heliopolis in 1988, and grew to have more than 55 branches all over Egypt and 15 branches abroad despite the fierce competition from American fast food chains. Expansion included Libya, Sudan, Dubai, Kuwait, Bahrain, Saudi Arabia, and Malaysia. Mo’men Group soon established a food factory with a fully automated production line in 1999, Al Motaheda For Foods, chicken, beef, and seafood-based food brand that offered international standards of quality, Three Chefs, and the first themed park restaurant in Egypt, Planet Africa. In December 2007, Momen group made its first acquisition by owning all of Pizza King restaurant chain shares, which operate around 25 stores in Cairo and Alexandria. 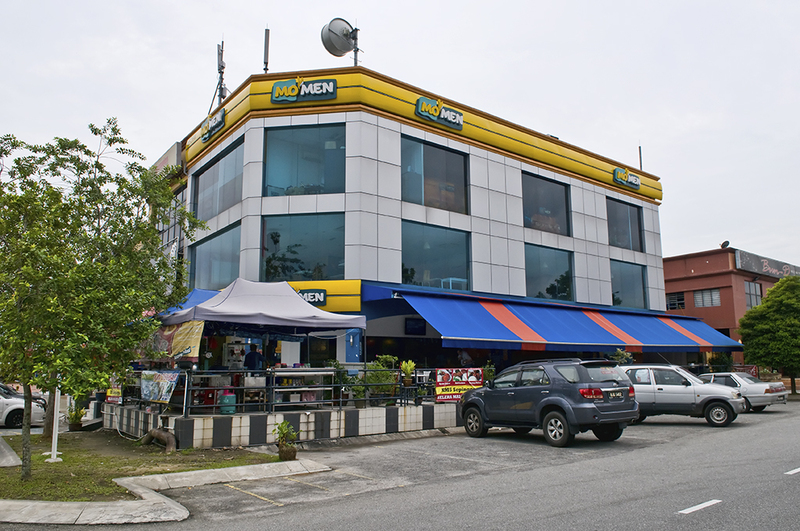 On July 30, 2008, Mo’men Group nailed an investment deal from Actis Capital, a leading private equity investor in emerging markets for $48.5 million to pursue its expansion throughout northern Africa and the Persian Gulf region. Following the 2011 revolution, rumors claimed that Mo’men Group was affiliated to the Muslim Brotherhood, and mobs set a branch on fire in Egypt. In 2015, the brand was the third highest biggest player in Egypt, with over 9.5 millions customers a year. 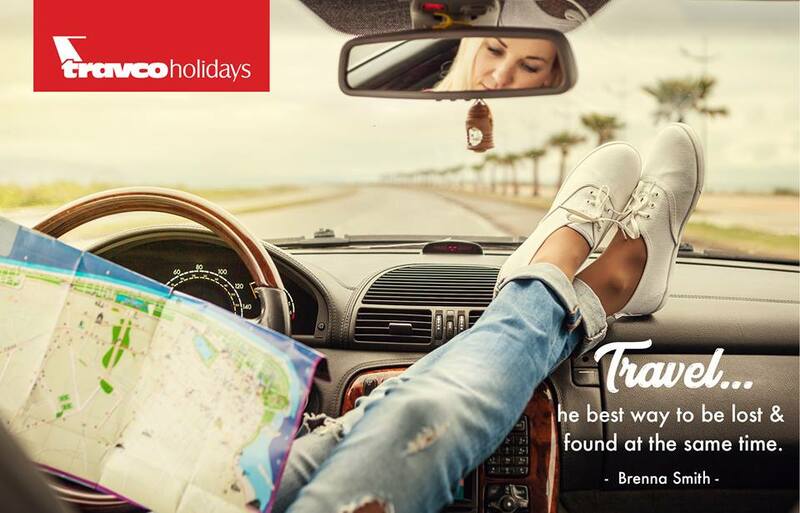 Travco Group was established in 1979 by Hamed El Chiaty, and is considered a key player in the country’s travel, tourism and hospitality and real estate industries. Travco has assets in excess of EGP 25 billion, employes 10,300 professionals in Egypt and over 5000 in the group’s international network which is spread from the United Arab Emirates, to Oman, and Jordan. 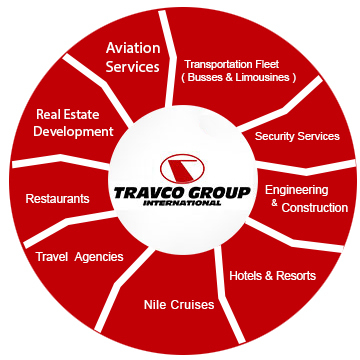 Travco Group owns 70 hospitality venues in Egypt and the UAE, 50 hotels & resorts in Egypt, the UAE and Jordan, 20 Nile Cruise ships and approximately 800 vehicles of deluxe coaches, limousines and SUVs in Egypt, Dubai and Oman. Nearly one million travelers coming to Egypt use Travco’s facilities and services during their visits. In 2017, Travco Group International ranked #1 Best Travel Company for the 21st Consecutive Year. Travco and Sharjah-based Air Arabia operate a joint venture airline based in Egypt called Air Arabia Egypt which launched operations in June 2010. Travco Group owns 50% of the airline with Air Arabia a further 40% and the remaining 10% owned by private Egyptian investors. 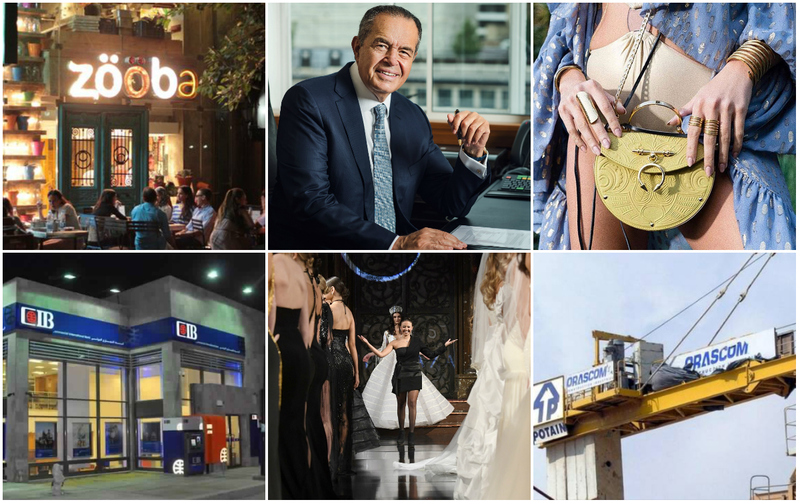 Caption: CIB was the only Egyptian business to make the the Forbes Global 2000 in 2014 at #1,699. Photo Credit: CIB. Commercial International Bank S.A.E. (CIB) is a commercial bank that provides retail, corporate and investment banking services allover Egypt through approximately 170 branches and over 20 units. It started as a joint venture between the National Bank of Egypt (51%) and the Chase Manhattan Bank (49%) in 1975. In 1987, National Bank of Egypt (NBE) increased its shareholding to 99.9%. Through a series of public offerings and open market operations, NBE’s share gradually decreased till it reached 18.7%. The bank operates on four segments: corporate banking, investment banking, retail banking and other services. Its current market value is $5.6 billion up from $5.1 billion last year. Its assets are valued at $16.4 billion, and its 2018 profit reached $421 million up from $335 million in 2017. This year, It was listed among Forbes top 100 powerful companies in the MENA region at 38th place after a 45th position last year. According to Reuters, UAE’s ADIA Abu Dhabi Investment Authority sold 400,000 shares in the bank in May for a total value of EGP 30.9 million. Their latest quarterly report announced a net profit of 1.87 billion and a net interest income of EGP 3.2 billion versus 2.95 billion a year ago. CIB’s stock performance has been relatively stable this year , despite a declining performance at the end of the past year. 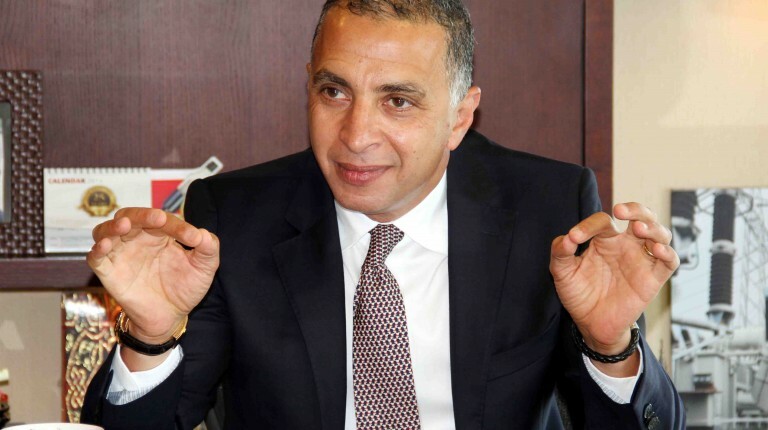 Caption: Ahmed El Sewedy, the CEO of El-Sewedy Electric, has a net worth of $341.79 million according to Forbes in 2015. 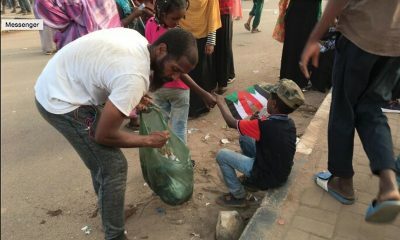 Photo Credit: Daily News Egypt. Founded in 1938 by the Elsewedy family, the company has since been Egypt’s sole cable manufacturer. The company expanded horizontally and vertically by providing more products and services, and exporting products to Algeria, Angola, Bahrain, Chad, Cyprus, India, Iraq, Ireland, Italy, Jordan, Kazakhstan, Kenya, KSA, Kuwait, Libya, Mauritius, Nigeria, Qatar, Romania, Russia, Rwanda, Spain and South Africa. Currently, the company has 30 production facilities located in 14 countries, and exports its products to more than 110 countries worldwide. The company operates through seven divisions: wires and cables, electrical products, energy measurement covers meter and systems divisions; transformers, telecom, wind energy manufactures blades, wind towers and wind turbine, and engineering & contracting offers design, procurement and installation services. This year, the business made it to Forbes Top 100 Powerful Companies in the MENA region at 69th place after a 92nd position last year, with a market value of $2.6 billion, assets valued at $2.4 billion and a profit of $362 million. This conglomerate, founded in 1952 by Loutfy Mansour, started as a cotton company. 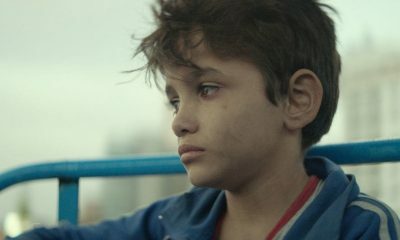 It was nationalized in 1970 under Gamal Abdel Nasser’s rule, but the Mansour family was able to continue its activities when Egypt returned to a market economy. Mansour Group has dealerships with many international brands. In 1975, they made a deal with General Motors, who set up the first GM factory in 1985, and has since been the largest General Motors dealer in the world. A deal with Caterpillar ensued in 1977, followed by Philip Morris International in 1992, and McDonald’s in 1994. 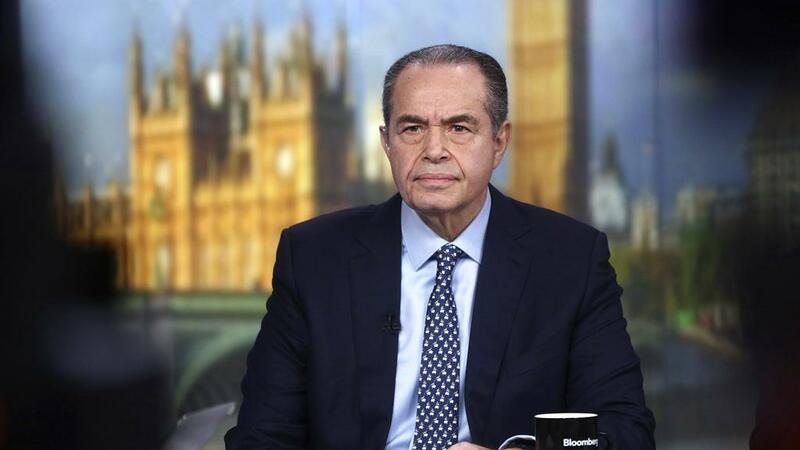 In 2000, the company launched Metro Markets, the first Egyptian-owned supermarket chain, and launched first discount store in 2006, Kheir Zaman. In 2010, Mansour Group founded Man Capital (aka Mancap), a private investment subsidiary based in London. In 2016, the company reported revenues of $6 billion, with 60,000 employees and operations in 120 countries. It was ranked 4th in Forbes 50 Biggest Private Companies In the Arab World 2018. 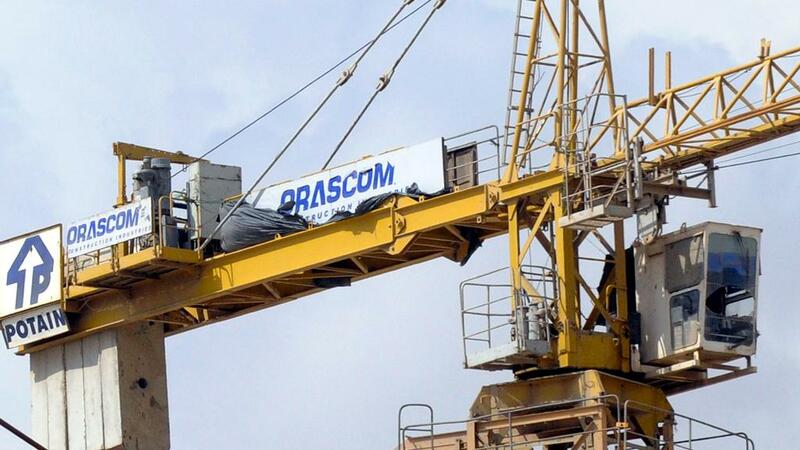 Established in Egypt in 1950 and owned by Onsi Sawiris, Orascom Construction Industries (OCI) is involved primarily in construction and fertilizer industries. It is one of the core Orascom Group companies, and Egypt’s first multinational corporation. The company’s operations vary from contracting to manufacturing and installation. 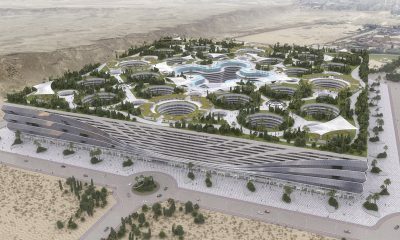 Their projects span from residential and commercial, to infrastructural and industrial projects for private and public customers in the Middle East and Europe. Its Fertilizer Group, and Cement Group have activities in Egypt, Algeria, northern Iraq, Pakistan, UAE, Turkey and Spain. 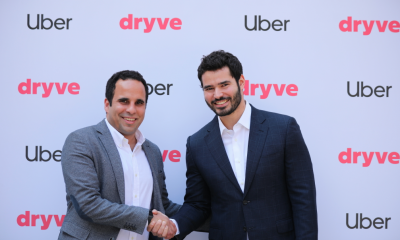 This year, it was listed among Forbes top 100 powerful companies in the MENA region at 82nd place, with a market value of $2.1 billion, assets valued at $2.9 billion and a profit of $85 million. Caption: Ghabbour Group is a strong industry leader in Egypt as the largest automobile manufacturer in Egypt. Credit: Ghabbour Auto. Ghabbour Group is a strong industry leader in Egypt as the largest automobile manufacturer in Egypt, with two distinct business lines: GB Auto, the core automotive business, and GB Capital, which oversees the operations of the group’s five non-bank financial service providers: GB Lease, Mashroey, Drive, Haram Limousine, Tasaheel. The company’s operations are focused on automotive assembly, manufacturing, sales & distribution, financing and after-sales services. GB Auto’s portfolio of partners currently includes leading global brands such as Hyundai, Mazda, Geely, Volvo, Sino Truck Fuso, Mitsubishi, and Yokohama, with an annual output of 150,000 units. Caption: Global Telecom Holding was formerly called Orascom Telecom Holding. Photo Credit: GTH. GTH, a major player in the telecommunication market in the world, is among the largest and most diversified network operators in the Middle East, Africa and Pakistan. It is currently based in Amsterdam, the Netherlands. GTH operates GSM networks in in Algeria (“Djezzy”), Pakistan (“Jazz”), and Bangladesh (“banglalink”) having a number of total customers exceeding 102.6 million as of March 31, 2018. Mobinil in Egypt was Orascom Telecom’s first operation, before it was replaced by the Orange brand in March of 2016. This year, it was listed among Forbes top 100 powerful companies in the MENA region at 95th place down from a 52nd position last year, with a market value of $1.4 billion, assets valued at $5.3 billion and a profit of $-41.8 million. Si-Ware Systems (SWS) manufactures and provides integrated circuit (ASIC solutions) and micro-electro-mechanical systems based solutions (Optical MEMS Technology) . The company is headquartered in Cairo, Egypt. Optical MEMS Technology has developed the worlds’ first single-chip FT-IR spectrometer under the brand name NeoSpectra™ – Silicon integrated Micro Optical Systems Technology (SiMOST™), that allows the creation of multiple optical components on silicon. SWS also incubates new and innovative semiconductor technology to bring to market, such an all-silicon Self Compensating Oscillator (SCO™). In 2016, they announced a European distribution network for its award-winning NeoSpectra™ spectral sensor module, which has a widespread market from agriculture and food to biomedical, pharmaceutical, oil and gas. 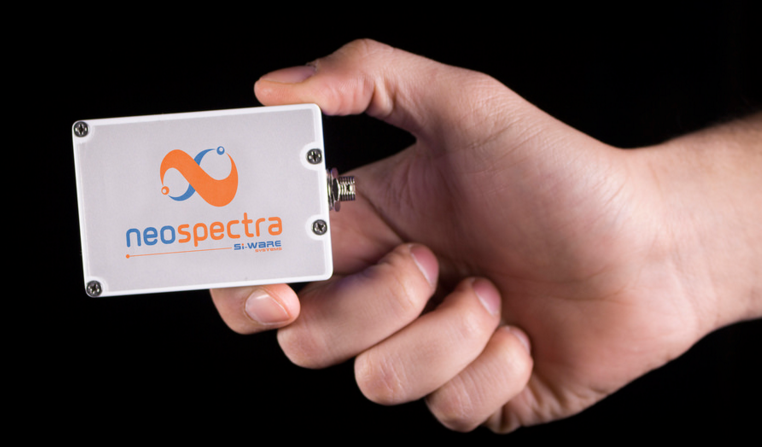 NeoSpectra is the smallest, lowest-cost Near Infrared (NIR) module on the market. Si-Ware Systems have already expanded its distribution network to UK, Germany, and France as demand for handheld onsite material analysis significantly increased in Europe, especially in the agriculture and feed sectors. Distributors include Analytik Ltd for the United Kingdom and Ireland (Cambridge), Mountain Photonics GmbH for Germany (Landsberg am Lech), and Optoprim for France (Paris). Caption: Giza Systems’ tagline “we integrate” represents the wide range of markets it is involved in. Photo Credit: Giza Systems. 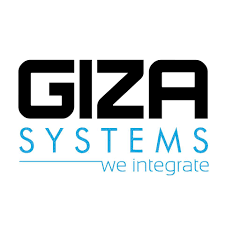 Giza Systems, founded in 1974, is a leading systems integrator in the MEA region working for a range of industries such as the telecoms, utilities, oil & gas, transportation and other market sectors. Their team of 1000 professionals are spread throughout the region with anchor offices in Cairo, Riyadh, Dubai, Doha, Nairobi, Dar-es-Salaam, Abuja, Kampala and New Jersey, allowing them to service an ever-increasing client base in over 40 countries. Caption: Azza Fahmy. Photo Credit: Egypt Today. 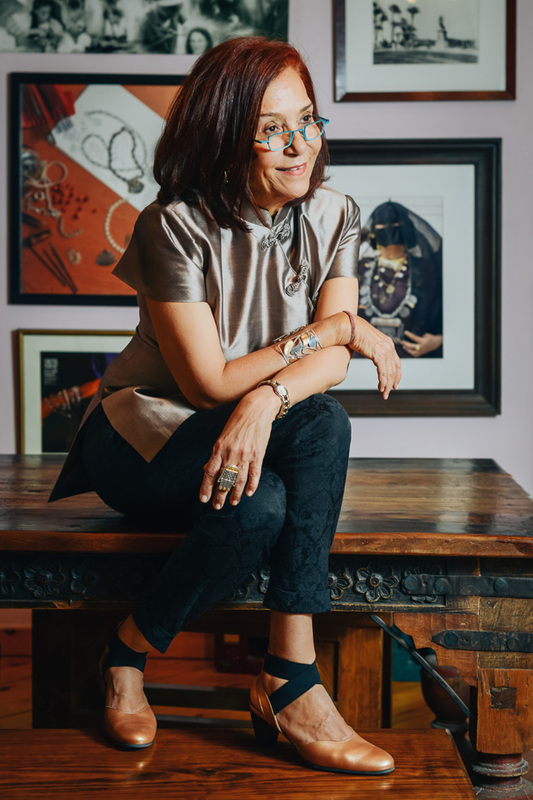 Azza Fahmy defied social norms when she worked as an apprentice in Khan El-Khalili in a male dominated workshop when she was little; she had set out to learn a craft that she loved. 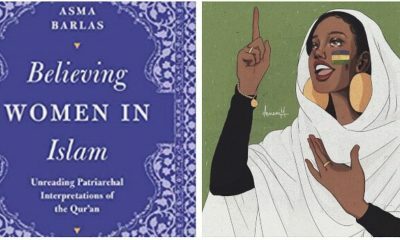 Later, she not only managed to launch her own business in 1969, but also expanded it to reach international grounds, with the help of her two daughters: Amina and Fatma. Azza Fahmy Jewellery understood the importance of partnerships and collaborations early on: it stepped into London Fashion Week and New York Fashion Week with renowned designers like Julien Macdonald, Preen, and recently Matthew Williamson. Soon enough, Azza Fahmy Jewellery became the first choice of A-listers such as Naomi Campbell, Rihanna, and Vanessa Williams, receiving acclaim from Vogue, Financial Times, Vanity Fair and CNN. At the beginning of this year, Azza Fahmy Jewellery announced on their Facebook page that they opened their concept store in London. Fahmy gave back to the community by starting The Design Studio by Azza Fahmy, a contemporary school of Florence in Italy in collaboration with Alchimia, to provide jewelry designers the knowledge she struggled to get when she was younger. As the Arabic name “Okhtein” suggests, Egyptian brand Okhtein was founded by two sisters: Aya and Mounaz Abdelraouf, in 2013. Their handbag designs are minimalistic, yet deeply inspired by the sisters’ cultural roots. In line with the spirit of giving back as well, the sisters collaborated with local NGOs to train and hire skilled underprivileged female workers in order to manufacture their products, and empower women. Distinguished for their quirky, feminine bags and scarves, Okhtein quickly rose to international fame, with their products sold in high-end outlets as Bloomingdales in Dubai and Harvey Nichols in Saudi Arabia. Many celebrities rocked Okhtein’s cute clutches on Instagram, most notably, artist Beyonce. Caption: Anne Winters, Emmy Winner, From Netflix Show “13 Reasons Why”, poses in TEMRAZA for the latest shoot with Regard Magazine. Photo Credit: Facebook/Temraza. Farida Temraza’s passion for fashion design started at the early age of 7. Her talent was clear but not enough to start an international brand. 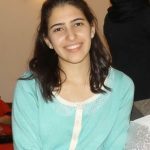 She studied Integrated Marketing Communications which she later utilized to found Temraza in December 2012 at the age of 21. Temraza offers ready-to-wear and custom-made evening and bridal dresses. Temraza’s vision is to become the first high-end international brand in Egypt to offer ready-to-wear, custom-made evening and bridal dresses. Through witty planning, and extraordinary design, Temraza managed to showcase its collections in London Fashion Week “Le Millésime Futuriste” Spring Summer 14 Collection, and won first place award in the Paris Fashion Week FW’15-16 collection. In 2017, Farida Temraza was awarded best female couture designer at the New York Fashion Week. Furthermore, Temraza’s designs blessed the red carpets of Festival de Cannes, SAG Awards, and Oscar’s Awards, and received the fascination of many stars such as the “Don’t Let Me Down” singer, Daya, “13 Reasons Why”’s Anne Winters and Laura Bell Bundy. This year, Temraza has been chosen as Egypt’s official representative to the 2018 New York Fashion Week. Zooba identifies itself as a fast food restaurant that makes fancy Egyptian street food. 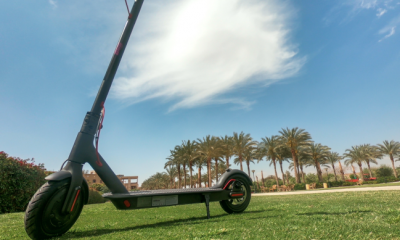 Zooba’s first branch opened in Zamalek in 2012 with a vision to have a Zooba in every major city in the world, according to Christopher Khalifa, the CEO and founder of Zooba. Last month, Zooba announced that it had partnered with SADF Trading and Development, a company that operates and scales an F&B franchise, which would help them open in 20 different locations over the following seven years. The first new branches to open were in Saudi Arabia and Bahrain.